Spawned from a nomadic upbringing in Vietnam and Belarus with a mother working foreign relations for the Swedish government and poet/writer father, Yung Lean seemed destined to seek out ways of finding common ground in new parts of the world. Still merely 22 years of age, his tale is as unassuming as it is wildly exploratory, a contradictory narrative about a misfit stranger from nowhere who together with his friends and producers GUD and Yung Sherman, became a worldwide phenomenon almost overnight. A protracted and at times grievous metamorphosis from pubertal, post-internet novelty to D.I.Y icon with an extensive, organic influence over anything and everything from off-beat art projects and mainstream culture alike. From experimenting and recording in a highschool computer lab to first hand encounters of the triumphs and tragedies of rockstar hyperbole, the mere 5 years passed since “Ginseng Strip 2002” saw the light of day have seen him set off on a seemingly genreless and open minded dispatch into the past, present and future of pop culture, an alternate reality where early internet aesthetics, late 90’s southern rap and a punk mindset fuse perfectly together. The momentum born from the gentle, abstract touch of his first tracks were swiftly embodied by “Kyoto”, electrified by “Yoshi City”, deconstructed via “Hoover” and then re-animated by “Red Bottom Sky”; emerging each time perhaps not rejuvenated but in many ways re-invented, his trademark lethargic flow and singular lyrical content elevated and seamlessly integrated with GUD, Yung Sherman and Whitearmor’s resourceful and label-free sonic landscape. Sold out tours around the globe, Grammy awards, ballet show co-creation, Converse collaborations and the Sadboys Gear fashion venture aside; Yung Lean always gravitates towards the studio context, working in isolation and staying ahead of the curve with his long-standing collaborators - this time, a few weeks at a remote estate outside Stockholm together with producer Whitearmor bred his latest offering, “Poison Ivy”. The eight track project exhibits a kaleidoscope-like experience with Lean´s vocals swerving from razor sharp to corrupted and garbled over organic hybrid beats propelled in slow motion, a renaissance ride through a post hip-hop landscape utilising a vast array of musical influence, compressing them into a unclassifiable yet irresistible sonic pearl. 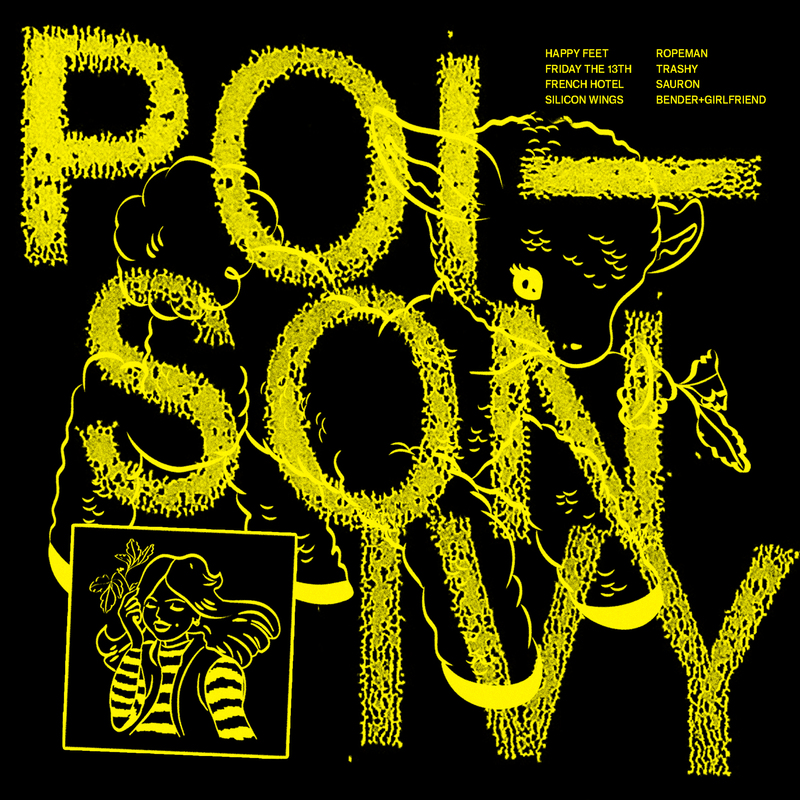 “Poison Ivy” (YR0065) was released on November 2nd 2018 through YEAR0001 with exclusive production by Whitearmor, art direction/design by ECCO2k, illustrations by Georg Nordmark and original photographs by Isabella Simone Vega. Press images by Gustav Stegfors and Gus Reichwald.